Simply fill in the fields to sign up for Tilly's email and receive the latest updates and exclusive special offers, coupons and more. Sign up is at the bottom of the page. 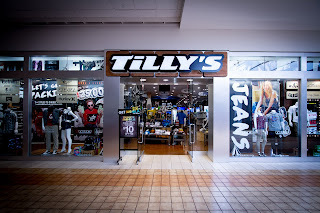 Tilly's is a retail clothing store that offers Surf and Skate Clothing, Shoes, and Accessories from Volcom, Hurley, Roxy, Quiksilver, Billabong, O'neill, Metal Mulisha, Dickies.